The rapid increase in the demand for international tourism has led a growing number of people to seek holidays and travel experiences in both developed and developing countries. 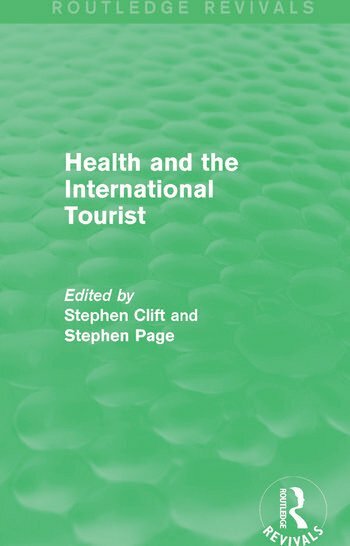 Yet little interest has been shown in the interface between tourism and health, Health and the International Tourist, first published in 1996, examines key relationships between travel, tourism and health. Particular attention is given to the behaviour and lifestyle of tourists and approaches to reducing the health risks associated with international travel and tourism. This was the first book to address tourist health in an interdisciplinary manner, with contributions from professionals in medicine, health promotion, the travel and tourism industry and tourism researchers. It will provide a sound basis for further research and the development of health promotion strategies, and will be of interest to students of health and tourism.